Over 75 camps across Ontario including Camp Ooch, Camp Robin Hood and Ronald McDonald House, are taking part in the Melanoma Network of Canada’s award-winning Screen Me Sun Aware Camp Program in partnership with the Douglas Wright Foundation. 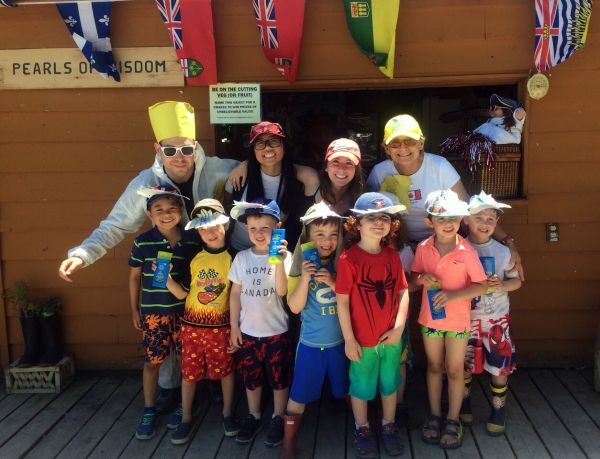 This easy-to follow program is designed to help protect children and teens from skin cancer by supporting Ontario summer camp owners and directors to implement sun safety best practices for all staff and campers. This year, the Melanoma Network of Canada has created a fun and entertaining Sun Safety Sing-A-Long Video with The Fuddles to educate children and youth on being sun aware and sun safe. Campers are singing along in Screen Me Sun Aware Camps (see below). Melanoma Facts – Did you know? – Melanoma is a serious and potentially deadly form of skin cancer and a cancer that is seeing a dramatic increase in numbers worldwide. – Melanoma makes up only 5% of all skin cancers, but accounts for 75% of the deaths that occur. – Having one blistering sunburn when young can double an individual’s chance of developing melanoma later in life. – Melanoma is one of the most common types of cancer for youth between the ages of 15–29, and is also one that is often preventable. – The primary cause of the most common form of melanoma is overexposure to ultraviolet (UV) radiation from the sun.